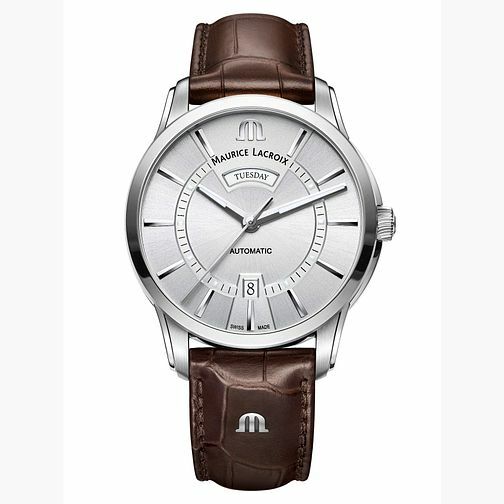 This sophisticated Swiss timepiece takes on the classic elegance signature to the Maurice Lacroix Eliros collection. With a stainless steel case and sleek sunburst silver dial, four Roman numeral hour markers add a timeless touch. Finished with a brown leather strap embellished with a stainless steel 'M', this watch delivers classic style with simplicity.